Weight loss has taken over people like a global mania. Men and women across the five continents are united by one desire and that is to lose weight. The reason could be underlying medical issues, cosmetic appeal or simply to remain in the best of health; losing weight as much as possible is the versatile solution. Thousands of people hit the gym every day and hundreds of diet plans are tried every day in the desire to cut down on the kilos. However, after witnessing numerous side effects of over exercising and faulty diet plans, people have started moving towards more natural ways of reducing weight giving rise to a distinct range of herb-based products. Garcinia Cambogia is one such herb that has gained a global fame for its fat burning properties. The market at the moment is flooded with countless companies offering Garcinia Cambogia preparations. It might get difficult to choose the right one. So here we are with an elaborate list of Top 10 Garcinia Cambogia brands in India to help you make the right choice. How does Garcinia Cambogia reduce weight? 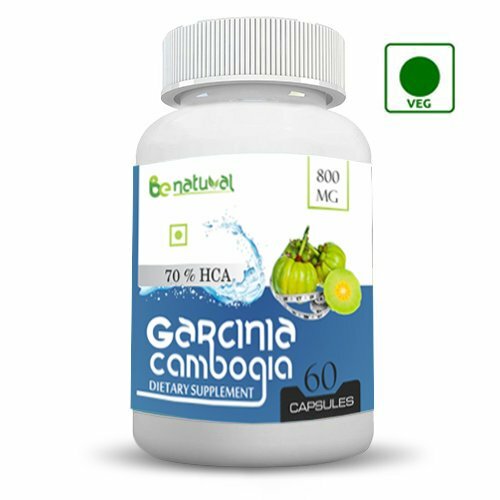 Garcinia Cambogia is herb that is native to South East Asia and whole of India. It is used in the South Indian culinary as a regular spice. Various studies have suggested that Garcinia Cambogia interferes with fat synthesis within the body and hence, prevents the body from making fat. It also works as an appetite suppressor. So you are bound to eat less than your usual posts its regular consumption. The active principle in the drug responsible for these effects is Hydroxycitric Acid (HCA). Most of the marketed preparation have a powdered Garcinia which has been dried to yield a certain percentage of HCA generally in the range of 60% to 95%. The common notion is that Garcinia helps you to lose weight without being focused on any exercise or diet. The fact is far away from this fiction. You need to be cautious of the diet to reap maximum benefits of this herb. Are there side effects of having Garcinia Cambogia? Garcinia Cambogia is used as a regular spice by many cultures and it can be said the pure herb is pretty safe for human consumption. It has not shown any side effects with regular usage. However when the herb is formulated, the end result can be quite different for some. Some of the common side effects of having Garcinia supplements are dizziness, dry mouth, headache, upset stomach and even diarrhoea which usually subside as the body gets used to the supplement. Some liver issues were also reported. Although it needs to be understood that it is difficult for herb which is taken in recommended proportions to cause severe liver issues. Yes, it may aggravate existing liver or kidney conditions. A big thing to look out for is drug interactions. Garcinia increases cellular uptake of glucose, thus reducing your blood sugar levels. Hence, it is of value to Type 2 Diabetics. However, if you are already on medications for it, Garcinia can cause a dramatic decline in blood glucose, which is not advisable. It can also synergize the effect of cholesterol lowering drugs. Garcinia can also react with warfarin, a blood thinner. Healthkart is one of the most well-known platforms and a brand in itself when it comes to health and dietary supplements. It provides bodybuilding enthusiasts a unique platform that brings all the leading supplements under one roof. Also, it has its own range of high quality supplements and Garcinia Cambogia is one of them. 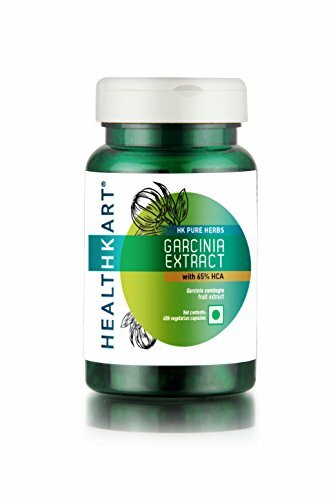 Healthkart Garcinia Cambogia is 100% herbal formulation that aims at boosting fat burn and metabolism and curbing appetite. Each vegetarian capsule contains 770 mg of the herb extract with 65% HCA. The product has no added preservative or colours. Dosage: Healthkart recommends taking 1 capsule twice a day, 30 minutes before meals. As the name suggests, the company is into all natural health and beauty products. A recommended product from their range is callus eliminator which is working wonders on audience. For those who don’t know, callus is the outer hardened skin of the heels which cracks and make your feet look ugly. Be natural Garcinia Cambogia is among their promising offerings. It is a 100% vegetarian product formulated as a capsule. Each capsule contains 800 mg Garcinia Cambogia extract which has been blended with rice powder. This makes it easy to be filled into the capsule shells. The extract has an HCA content of 70%. Dosage: The recommended dosage is taking 1 capsule twice a day before meals. Healthawin is an Indian brand of dietary supplements whose elaborate range is supported by years of research into natural health. As the name suggests, they are here with the motto to help people win over health in a simple and easy way. They have an array of products to offer including coffee bean extracts, grape seed extract, CLA, carnitine and also Garcinia Cambogia. 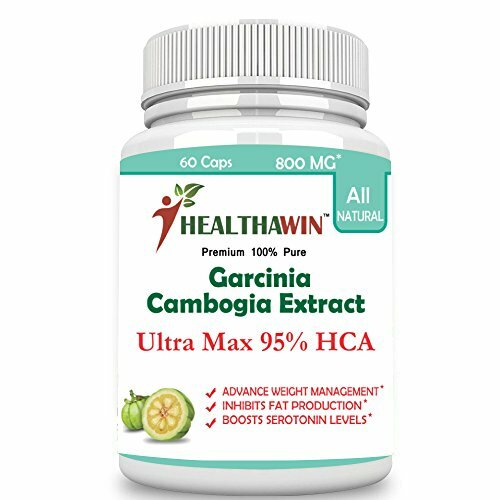 Healthawin Pure Garcinia Cambogia is one of their most demanded products. They have a series of Garcinia products each differing in their HCA concentration. The lowest is 60% HCA while the Ultra Formula offers 80% HCA while the Ultra Max variant has 95% HCA, the highest in the segment. The products are free of fillers and artificial ingredients. Dosage: The recommended dosage is 1 capsule thrice a day, before meals. LeanHealth seems like a brand that is making a place for itself in the herbal dietary supplement segment. It has a limited but appreciable range of products offering ashwagandha, neem, triphala, tulsi and Garcinia based products. 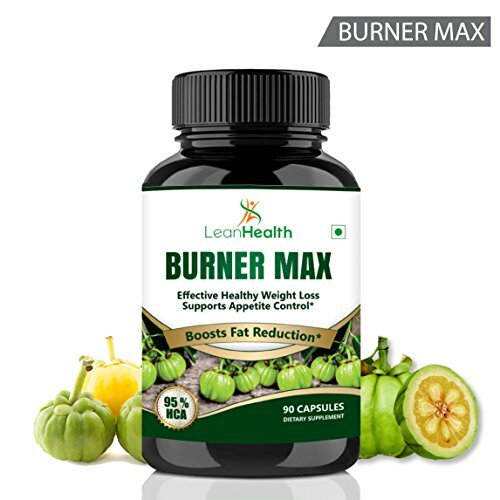 LeanHealth Burner Max is a potent Garcinia Cambogia that is being marketed as an effective healthy weight loss remedy. Each capsule of this dietary supplement contains 800 mg of Garcinia extract that has 95% of HCA content. No other ingredients have been used by the manufacturers. Dosage: The recommended dosage is 1 capsule twice a day, 30 to 40 minutes before meals. Nutri Herbs is an upcoming nutraceutical brand that is specifically into natural and healthy weight management products. Some of the products churned out by them are green coffee been extracts, omega 3, wheat grass and Garcinia Cambogia products. 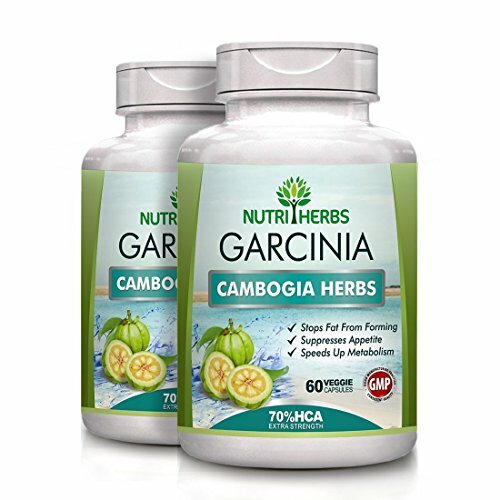 Nutri Herbs Garcinia Cambogia is a 100% vegetarian product that aims at weight loss by supressing appetite and preventing fat formation. Each capsule has 800 mg of plant extracts of which 500 mg is Garcinia, 250 mg is green tea extract and 50 mg is guggul extract. Hence, the product addresses weight loss in a multidimensional way. The level of HCA in this product is 70%. Dosage: The recommended dosage is 1 capsule twice a day with luke warm water before meals. Herbalifi is an upcoming and promising brand when it comes to nutraceuticals. The Indian company is known for its good range of quality products that aim to improve health naturally. 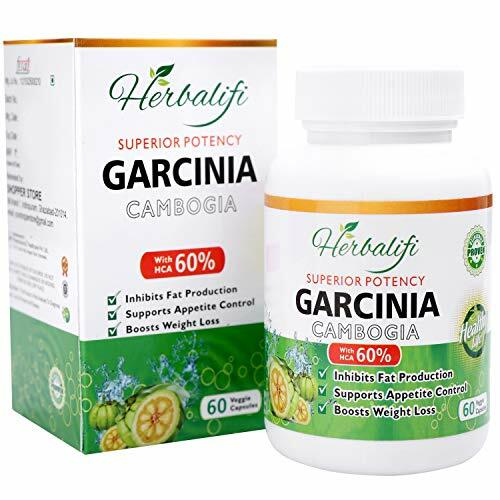 Herbalifi Pure Garcinia Cambogia Plant Extract is one of their many weight management products. It is a 100% vegetarian products formulated as a compressed tablet. Its claimed as the MOST POTENT GARCINIA FORMULA WITH 60% HCA. Garcinia Cambogia ultra weight loss capsules contain 60% Standardized HCA. Hydroxycitric Acid (HCA) can support weight loss by suppressing the appetite, and assist in weight maintenance by helping to prevent the storage of new fat. It can also improve energy levels, boost metabolism and concentration, and help prevent fatigue as advertised by the brand. WOW is yet another Indian nutraceutical brand known for its product range, quality and vibrant packaging. Right from hair loss products to weight loss support to vinegars to skin care, it has everything for consumers. 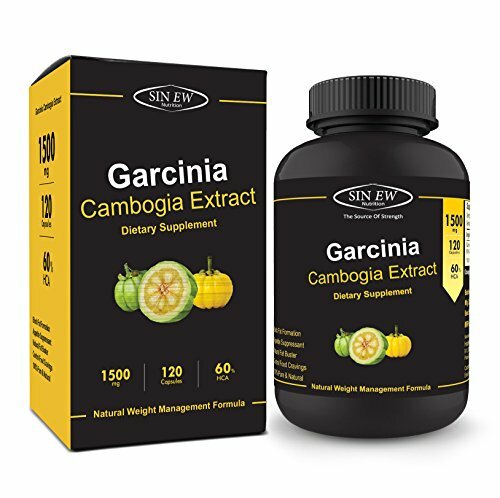 Sinew Nutrition Garcinia Cambogia Extract is a natural weight management product blended with essential minerals (Calcium and Magnesium) that assist in fat burn and in boosting metabolism. Each vegetarian serving has 1500 mg of Garcinia extract. Antioxidant and appetite suppressant Sinew Nutrition garcinia cambogia extract isn’t a diet pill, it’s premium detox and cleanse. Dosage: The recommended dosage is 1 capsule twice a day, before meals. 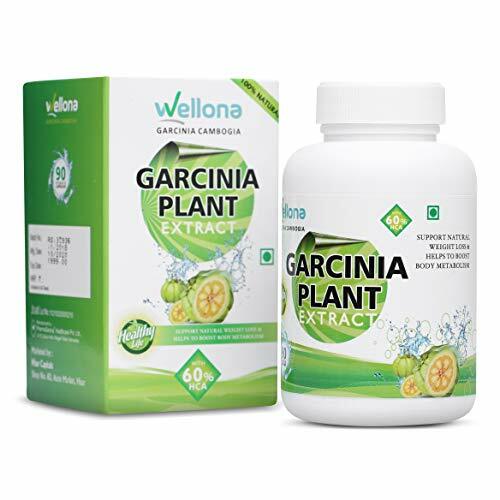 Wellona seems like a relatively newer nutraceutical brand however, its products are creating quite a stir in the market. Users have widely accepted its offerings which include Apple Cider Vinegar, Green Coffee Bean Extracts and Garcinia Cambogia. Wellona Garcinia Cambogia is one of the most trusted Garcinia based products out there. Each vegetarian capsule contains 800 mg of the herb extract that has been standardized to 60% HCA. These are our picks for Garcinia Cambogia products. These products are effective and not heavy on the pocket too. It is always advisable to get in touch with your physician before you start with any supplement. Take your doctor’s advice and march towards your weight loss goal with Garcinia.